On Monday 9th October our Scotland team welcomed dignitaries from ASHRAE, CIBSE, IRE and BESA, alongside members of our client base and Bouygues Energies & Services senior management, as they celebrated the grand opening of our new Scottish offices. The global ASHRAE president, Bjarne W. Olsesen, officially opened the office and provided a presentation on ASHRAE, followed by a presentation on BYES, given by Serge Bordonnat. Traditional Scottish entertainment was provided by the award-winning Falkirk Junior Gaelic Choir, as they performed a delightful rendition of Scottish Gaelic songs and ‘the comin of the wee malkies’ - a humorous Scot’s poem by Stephen Mulrine. The event highlighted how Bouygues Energies & Services have embraced Scotland, with the choir’s performance giving a classic Scottish tone to the proceedings, alongside traditional Scottish delicacies. As well as being another step forward in the company’s growth and development, the new, centrally positioned office will also diminish East / West divisions, which have been a potential barrier to growth in the past. 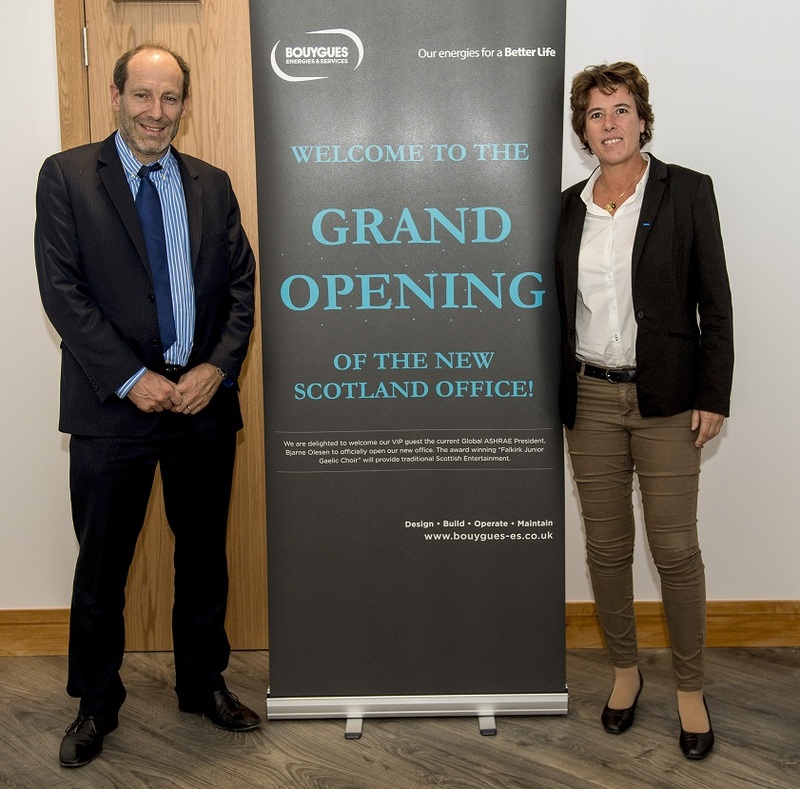 The office opening reinforces the unity in Scotland’s industrial and commercial sectors, allowing BYES to be a local contractor who can effectively serve most of Scotland within 60 minutes. Speaking about the event, Regional Development Manager, Charlie McKenzie , said; “The event was a great vehicle to show our staff and clients our new, state of the art office and announce our commitment to further growth within the Scottish Region." Following the success of the grand opening, Bouygues Energies & Services are looking forward to the further success of our Scottish auld alliance in the future.